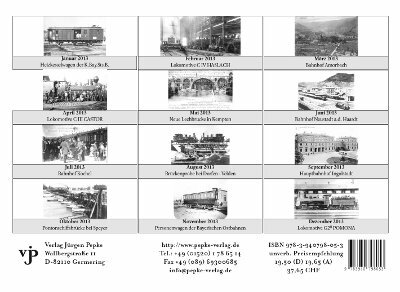 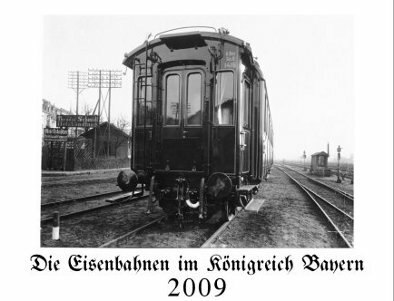 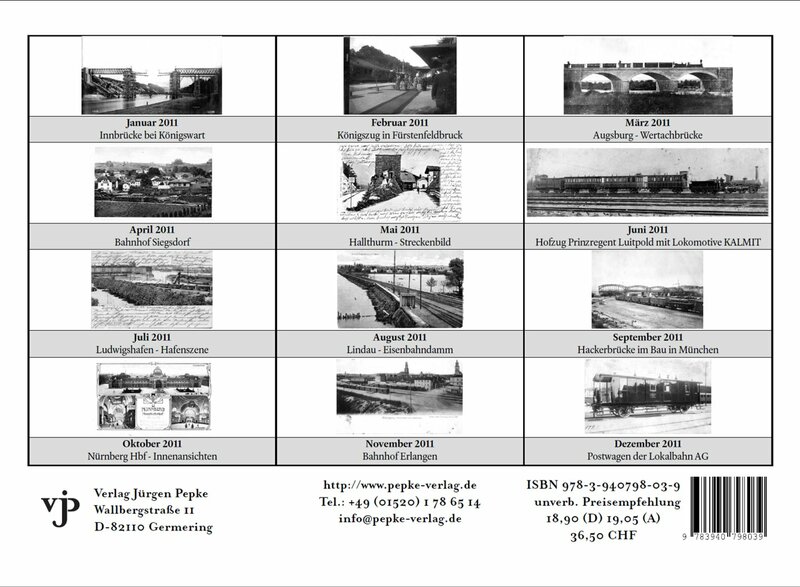 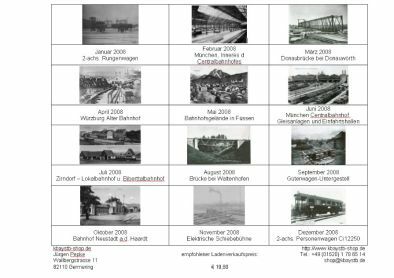 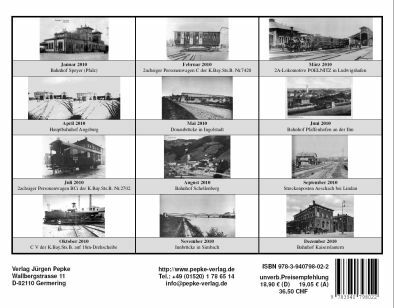 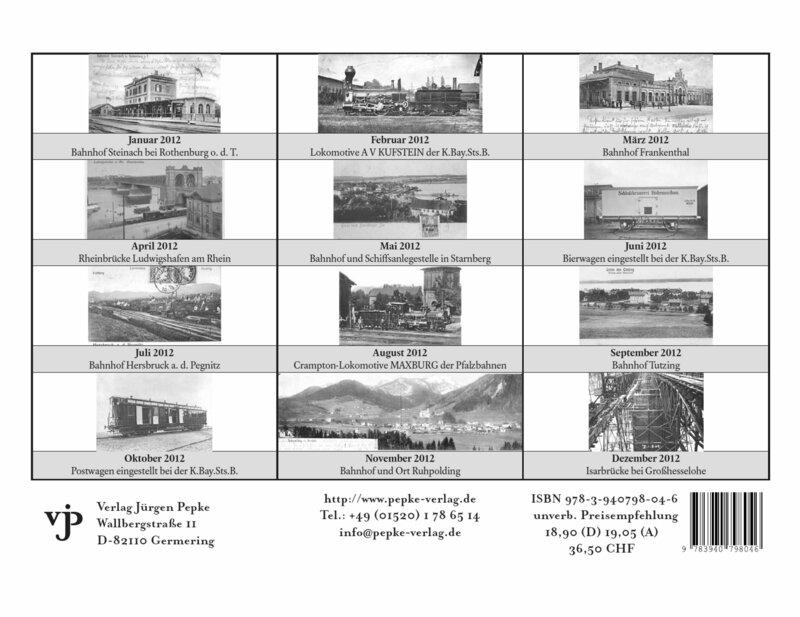 Our calenders of our serial "The Railways in Kingdom of Bavaria" are well-known not only in Bavaria and former bavarian province Palatine, but also in other territories of Germany and in hole Europe. 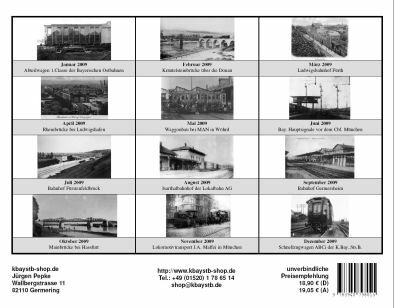 The pages showing photographies and postcards from 19th century till the 1920ies, because of the monetary problems in Germany and especially of the German Reichsbahn in this period only few things changes against the time of the German monarchy. 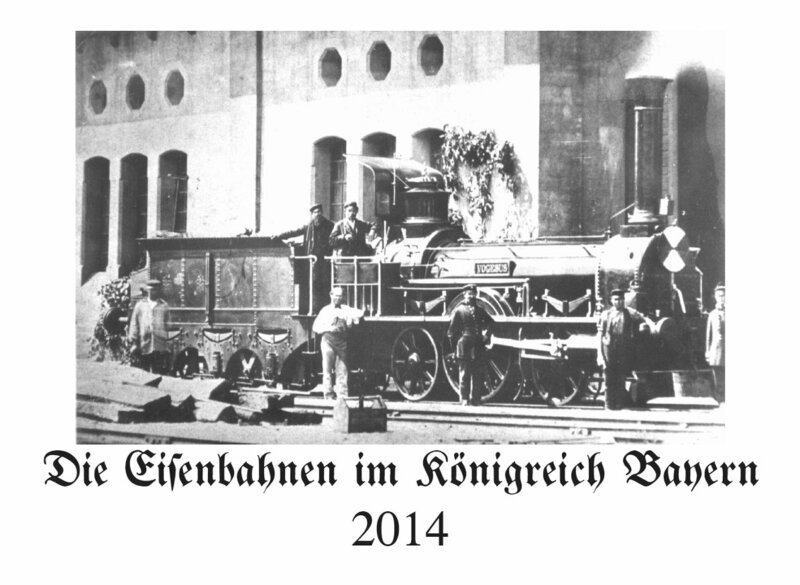 Frontcover shows locomotive 1A1 VOGESUS of Palatinian Railways. 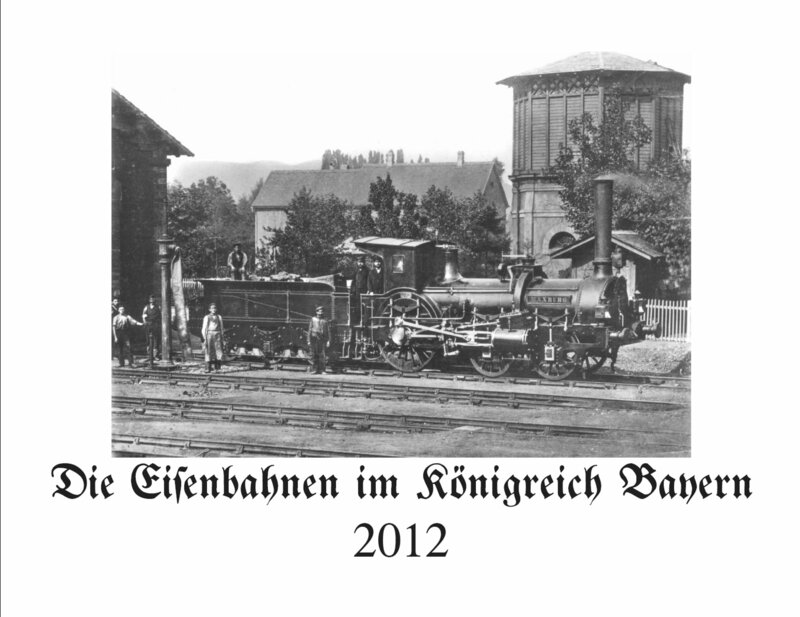 Frontcover shows locomotive C III CASTOR of K.Bay.Sts.B. 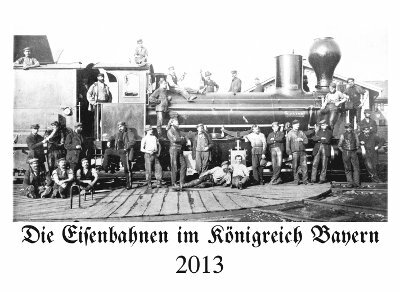 Frontcover shows Crampton Locomotive MAXBURG of Palatinian Railways. 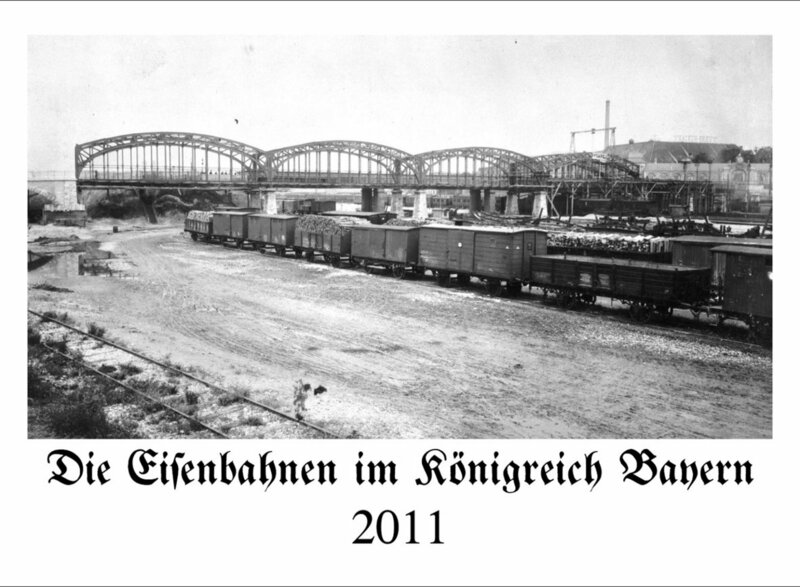 Frontcover shows Grasserbrücke (today Hackerbrücke) in Munich in the year 1892. 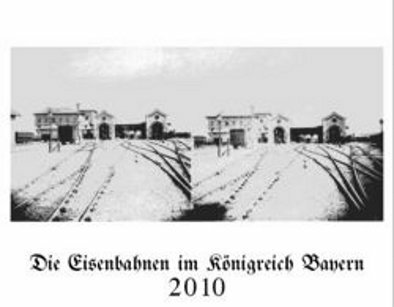 Frontcover shows mainstation Augsburg in a rare Stereography in the 1850ies with superstructure across the railways. 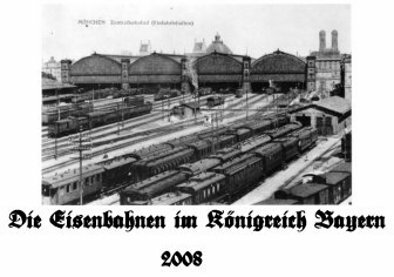 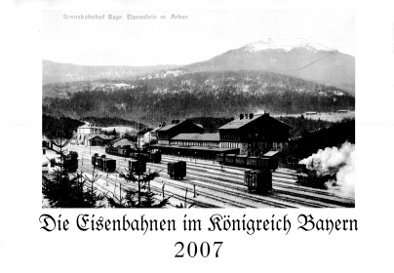 Frontcover shows former central station Munich from back side.